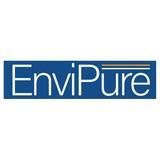 @envipuresol is on Carousell - Follow to stay updated! Enzyme Fabric cleaner. Spray rub rub clean off. repeat method if necessary. Its Easy. No bleach, no chemical..But ah...not on organic material.. Its active enzyme...will eliminate any organic substance...so beware! But hey...vanilla smell.....nice and clean. Enzyme Cleaner works effectively on Urine stains & odor. Absolutely effective & safe on pets and human. Ah... not forgetting the surfaces fabric, stone/ceramic. Good product everyone should try. Use less water and no Bleach.